I think it is important to understand the origin of words as they may provide greater depth and understanding. For myself, understanding the origin of the word “sin” has helped me in my faith journey. The term sin comes from the Greek “hamartia” meaning “to miss the mark” as one might miss the mark or target in archery. Instead of writing about all the ways in which we miss the target, I would rather focus on what we need to do to hit the target. First, we need to aim. We need to point ourselves in the right direction. For the faithful, our aim is salvation with God. 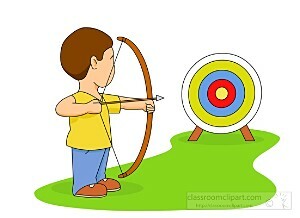 Having the right aim helps to orientate our decisions. But life is hard and making the right decision is not always clear. In life, as in archery, we need instruction and coaching so that we can learn and grow. We have many coaches in our life journey. Our pastors, our theologians, our saints, our sacred texts, and of course Jesus are all coaches providing instruction. However, we need to be coachable. We need to listen to the instruction. Having the right aim and having good coaches are two parts of the equation. The final part is the practice. We have to be willing to practice what our coaches are telling us. That’s always the hard part. That’s the part where we fail. But for those of us who coach sports, think about how we approach our athletes. We instruct, we let them practice, we watch them fail, and we encourage them. Would a good coach belittle the players for trying but failing? Would a good coach give up on their players? We know the answers. So perhaps we should remind ourselves of this the next time we sin or our children do. Because I am sure that God, who is Love, would understand that we are going to fail and He would always want us to try again. The important thing is that we set our aim towards the right target, that we do our best to listen to our coaches, and that we give a sincere effort towards continual improvement. The Grade 6 class is exploring the Corporal Works of Mercy as part of their Christian Education classes. In order to make the learning come alive, the students are doing a coat drive for Covenant House, Vancouver. Click here for more information. For our next Care Day, on Nov. 30th, we are bringing back the 8o’s. Let’s step back in time and bring back acid washed jeans, crimped hair, leg warmers, and neon colours. Take a look in your closet and see what you can find to create that funky 80’s look. Bring in a toonie and join in the wacky fun! Our October Care Day raised $324.40 for Aid to the Church in Need! Thank you for your kindness and generosity. All proceeds will go to support Covenant House, Vancouver. Pasta Hot Lunch to be served on Wednesday, November 28, 2018. Click here for an order form. Forms are due by Thursday, November 22, 2018. 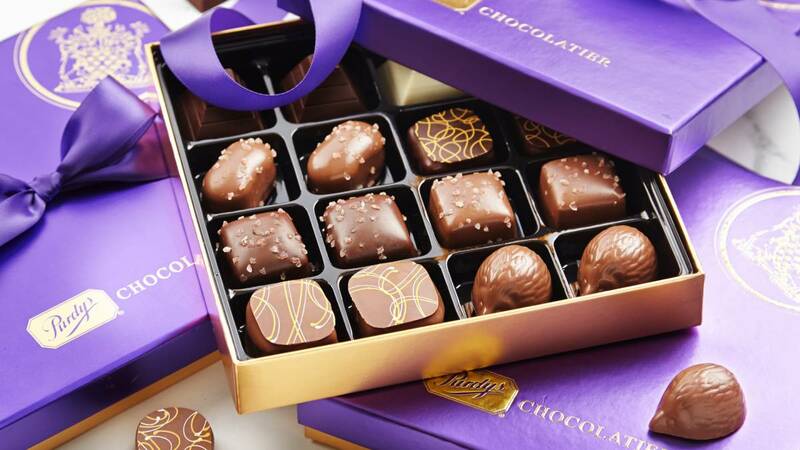 The Grade 7 class is fundraising with Purdys Chocolatier, just in time for Christmas! All can be done from the convenience of your computer. No line-ups or crazy shoppers to compete with. After you’ve signed in you can buy our amazing chocolates or invite others to join and support our Fundraising Campaign. More info and catalogue was sent home with your child. Vianna Foo is selling 2 brand new school sweaters. The cost is $40 each; all proceeds will go to Grade 7 promotion ceremony. Regular price is $46.49 on the Neat Uniform website. Please contact Vianna at vianna.foo@hotmail.com if you are interested. The Gr. 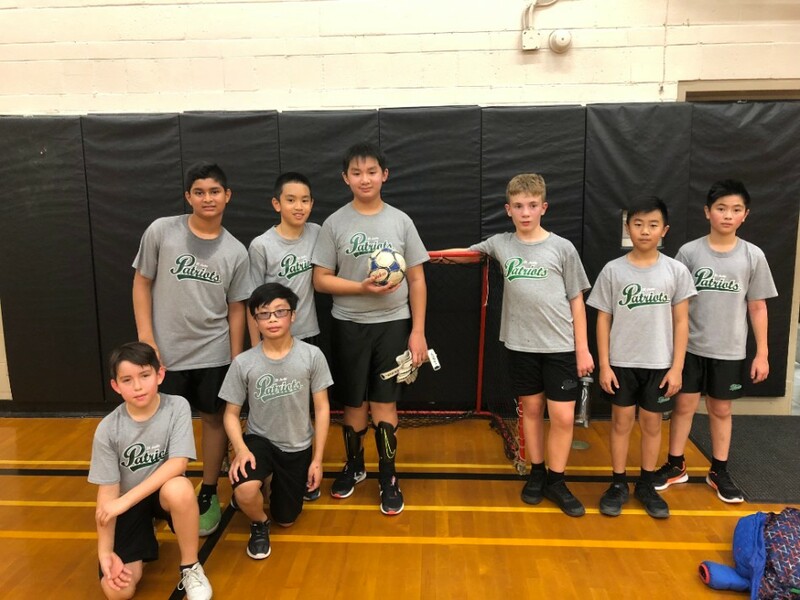 6/7 Boys went to St. Joseph’s School this past week to play in a friendly indoor soccer game. Fun was had by all who participated. 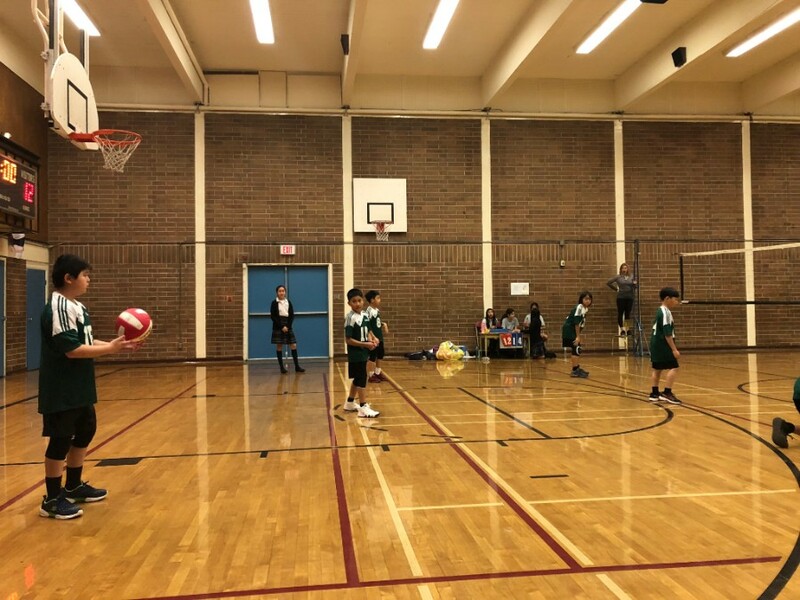 The Grade 6 Boys finished in the top 2 during the qualifying tournament and have now moved on to the Final 8 at Harry Jerome on November 20th. Congratulations boys!